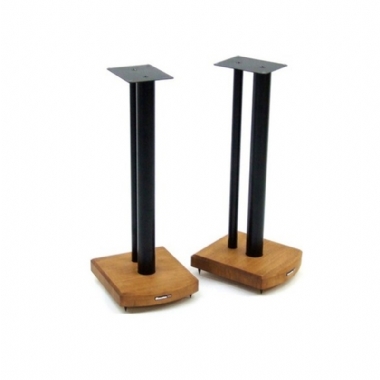 The Atacama Moseco speaker stands combine all the aesthetic and sonic Benefits of Bamboo with the adaptability, strength and stability of twin carbon steel poles. These poles consist of a 50mm front column and a 28mm rear column which features cable management. To those wishing to improve the performance from their speakers further, all Moseco’s are able to have the front column part filled with sound dampening material you can add our Custom Design Inert Filler to your order (More Info HERE) we would suggest 4x bags in total for a pair of these stands. Colour choices are Satin Black as standard and as a cost option Silver Metallic, Diamond White or Cesium are also available. Base panels are supplied in Natural Bamboo as standard with Medium or Dark Finish Bamboo as a cost upgrade.